As a land-grant institution, NC State places great importance on the role of extension in agricultural development and food security. Agriculture extension and agriculture extension education are fundamental to transferring knowledge acquired through academic training to current farmers — as well as training the farmers of the future. Our Global Academy provides training in agriculture extension in, but not limited to, the following areas: U.S. extension system and structure; extension services at the federal and state levels; role of academic institutions and research organizations in extension; extension methodology and technology transfer; program curriculum and development; extension staff training; development and management of agricultural cooperatives; role of farmers’ associations, cooperatives, and commodity groups in market promotion and government relations; and agribusiness management and leadership. 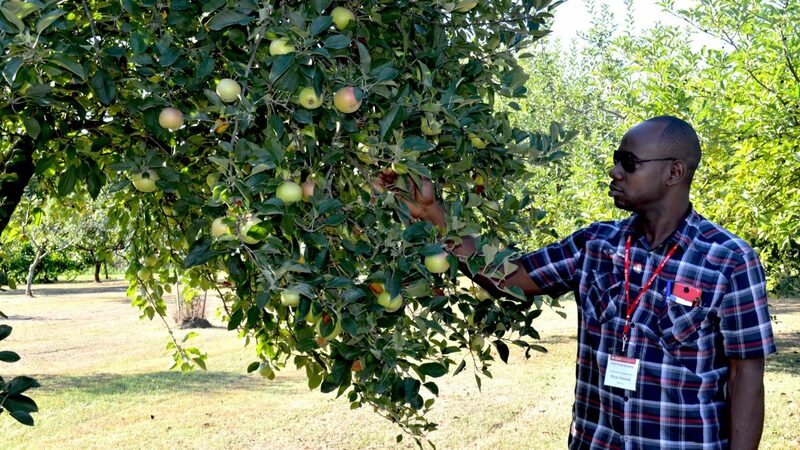 The agricultural and extension education program in the Department of Agricultural and Human Sciences at NC State is key in conducting training in this area. The program has two main duties: to prepare the undergraduate and graduate students with the knowledge necessary to be extension agents or agricultural teachers/professors; and to provide the technical knowledge to students who aim to become livestock extension agents in the future. Extension specialists at the university and extension agents in all 100 North Carolina counties are also considered as teachers as they carry out duties ranging from leading workshops to holding relaxed conversations on individuals’ farms. These specialists and agents must have the agricultural knowledge to help others, but also must know how to teach adults effectively. The agricultural and extension education faculty help train extension agents and specialists on how to become more effective in their extension efforts by teaching them about adult education, extension methods, technology transfer, curriculum development, program planning, and program evaluation. The program also has an international focus, as many students and extension specialists are interested in international development through agricultural extension efforts. The research focuses on extension efforts with rural communities that have little or no access to the internet and with communities with little funding for extension efforts.